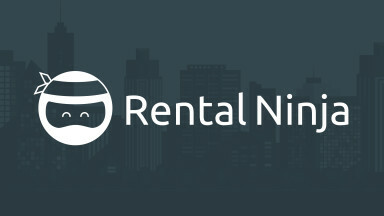 Make your rental business easier to manage with Rental Ninja! - Keep track of everything that's going on in your company on the go, with our mobile applications. - Track your business performance using our advanced statistics. - Stop using paper: Track payments, upload pictures and payment receipts, invoices and much more. - 14 days free trial. Pricing according to your number of rentals and an unlimited number of users. Rental Ninja is a Mobile and Web product thought and designed to make the daily administration of rental businesses much easier. It makes your life much smoother by helping you organize the booking information of each rental, and eliminating any need to have a paper-based database. If you want to stop worrying and generate an autonomous way to work for your check-in agents and cleaning personnel, you'll find a useful tool here, as Check-in agents and cleaning staff will have the information of arrivals and departures on their mobile phone, updated at all times. But this is only one of the capabilities of Rental Ninja! Are you required to gather any city tax documentation from your guests? You can start storing the passport/ID pictures in each booking on Rental Ninja. Did you ever experienced that you were expecting a group of 4 and suddenly 5 people show up?! Now, can you imagine recalculating the taxes accordingly and generating the updated booking right from where the check-in agent is, without having to hesitate nor call anyone at reception to handle it from the computer? Rental Ninja enables that for you as well. Any payment can be added via your Smartphone to any booking, indicating the payment method used. It's the extension of the BookingSync Bar payment on your phone, that you can update while checking clients in, with the difference that Rental Ninja, in addition, is keeping a record of who introduced each payment. This Rental Ninja's feature allows you to stay updated at all times, from anywhere, even if the office or reception are closed. Besides and beyond that, what truly makes the difference for us, is that you can start replacing the paper-based reservations and City Tax Forms for this online instantly synced database that allows you to interact and modify anything on the go while keeping it all nice and organized from moment 0 of each clients' arrival! It's important to notice that only the check-in agents or reception personnel authorized by your Rental Ninja's Team Manager will be allowed to introduce payments. The App will save the information for better supervision.  You can also add comments and pictures to rentals and bookings to save critical operational information such as receipts, invoices, keys that were given to the clients, damages found in a rental that need a fix or a lot of other important information. Regarding the Web app, it allows you to know how your business is performing through many graphics that will help you shape each rental's performance, seasonally, individually, etc. You can view financial statistics such as payments' evolution or the income generated by each one of your rentals. You can also follow up your rentals occupation during different periods and find out % information about your customers such as where they come from or the most used platforms to book your rentals (your channel performance). But this doesn't end up here! We are working on improving our product. New features will be released soon! Moreover, since this product started with the idea to fill in our own needs, we are open to your proposals so you will be comfortable with Rental Ninja! And all these features are synchronized with BookingSync! Any information modified through Rental Ninja will be automatically actualized to BookingSync. So use your BookingSync team name to easily create an account in Rental Ninja and start adding your team contributors.